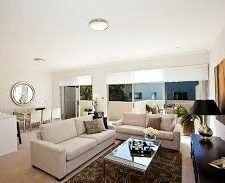 Cairns Cleaning Corp offer impeccable house cleaning / domestic cleaning services in Cairns that keeps your space both clean and ‘green’. As a specialist cleaning company, we ensure all our services meet the highest standards of hygiene whilst also protecting you against the ill effects of chemical residues and allergens. Our work is unrivalled in terms of efficiency, quality and reliability. Our regular cleaning programme gets your home really clean every visit – weekly, fortnightly or monthly to suit your needs. We pick up and straighten, dust, mop, vacuum, wipe and clean from top to bottom using environmentally friendly products and equipment. Price varies depending on the size of your home and family. To arrange a FREE Quote call us direct on (07) 4081 0000 or use our online BOOK A FREE QUOTE.